We thoroughly enjoyed working with French pottery artist Henri Hedou on his new website, which showcases his wonderful pottery range from the countryside near Ballina, Co Mayo. 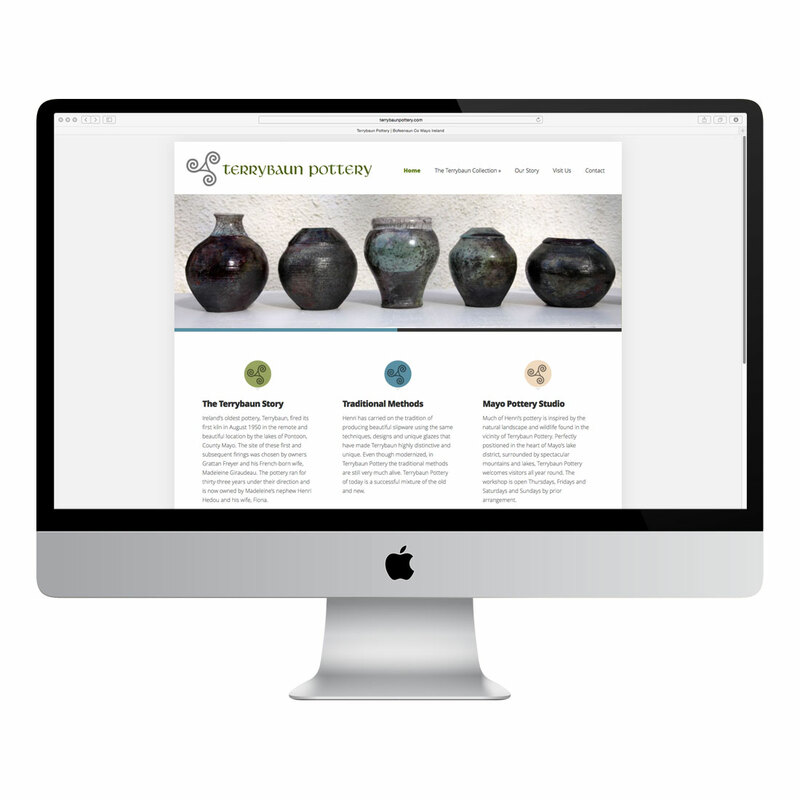 Replacing an older website that had limited options for customers to purchase his pottery, the new site website features detailed photos of the various pieces in Henri’s collections with a simple, clean ecommerce shopping cart layout that processes payments securely using PayPal. The long history of Terrybaun Pottery is chronicled on the site, including video interviews with Henri showcasing his work and his recent segment on RTE’s Nationwide programme.